In Malaysia, the form of multi-religious society has been started when Chinese and Indian came in the early of 16th century. 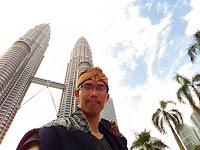 At least, that condition shows the acceptance and accommodation from indigenous people in Malaysia which most of them were Muslim, to people who were not the native people of Malaysia and also came from non-Muslim community, as a part of the population in Malaysia. Therefore, the readiness to live together with people from different faiths has been initiated since Malaysia inhabited by the three races and religions: Malaysian-Islam, Chinese-Buddhism, and India-Hindu. Besides that, there are other communities who stayed in numerous parts of East Malaysia, Sabah and Sarawak which are Kadazandusun Christian and Iban Christian. The existence of difference races and religions or can we say as multi-religious society, will be a challenge for Malaysia to maintain peace and harmony, and the situation will be more complex than before as they have to face the issues of inter-religious. The issues are not always related to the theological problems, but most of them are about social interaction and living together. Just like in Indonesia, Mohd Farid Mohd Shahran (Sintang et al, 2012: 70) explains that the issues of living together in Malaysia are concerning about the establishment worship’s houses, the mismatch between the civil system court with sharia system court, and displacement of religious status. Other issues are, for example, the problems of products that are certified as kosher by non-Muslim’s entrepreneurs, the use of Arabic and the Quran’s terminologies, the funeral process, Islamization, and so forth. Walter (Sintang et al, 2012: 70) states that the issues affecting the relationship between Islam-Christians in Malaysia are raisen due to the government's attitude which is very strict in controlling places to establish worship’s houses for non-Muslims and removing the non-Muslims’ funeral. On the other hand, since Islam has become a major and official religion in Malaysia, it made the distribution of the land was given wider to Muslim. It is recognized as unfair policy by Hindu and Buddhist communities. If the case is learned more deeply, it can be said that the issues are not only related to the relations of inter religious people in Malaysia. Beyond that, so many issues related to the relationships between Muslim and non-Muslim. For that reason, Malaysia’s people should learn how to live together and begin to understand each other through dialogues in the social interaction and coexistence. If the relationship of harmony in diversity is not reached in this world, it will be impossible to ensure living in the world. The question is who should start that? Indeed, we do not close our eyes that there will always be scholars who focused on these issues. But the results are not ssignificant for sure, especially at the grassroots level. For that reason, the strengthening is needed from other groups which can really help to overcome the problems. It seems that the role of youth or youngster is needed. Youth, with a passionate spirit and fresh thinking are expected to be an agent of change. They must be able to change the world to be a better place. At least, they care about their nation and religion’s condition.